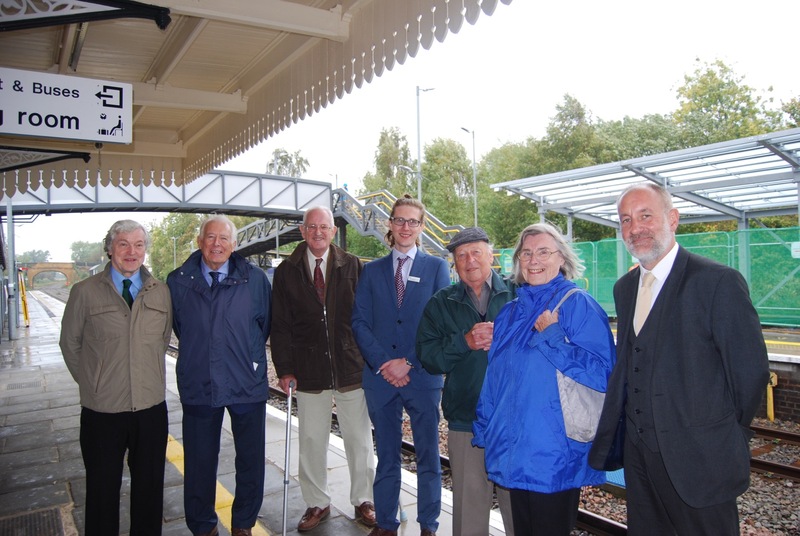 CLPG officers joined GWR managers and Moreton-in-Marsh's county councillor Nigel Moor at the town's station on Friday, October 10, to get an update on the construction of a new waiting room, which will also provide a venue for community events. The steel frame for the £400,000 building had been assembled over the previous few days and the project is on track for completion in December. 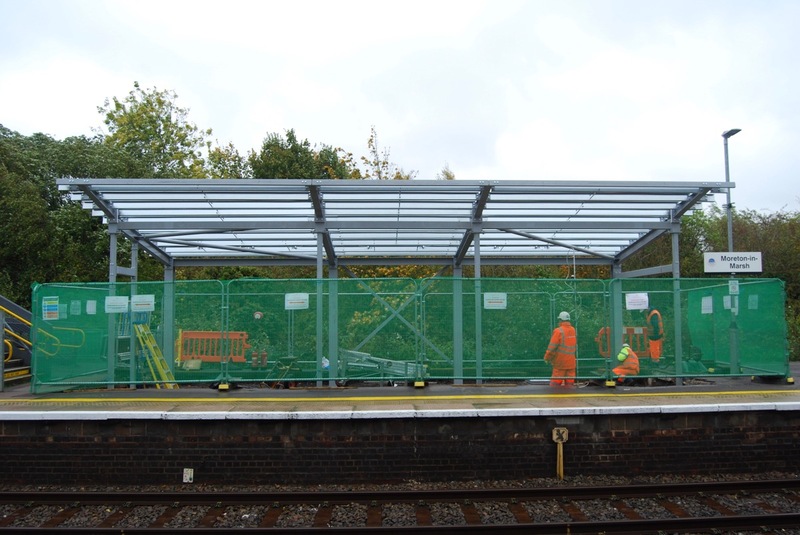 As well as providing an attractive place for passengers to wait for trains towards London and Oxford, the glass-fronted building will be dual-purpose, with facilities for the CLPG, other community groups and the rail industry to hold meetings there. A pullout table and chairs will be available. Money from legacies both men left to the CLPG is being put towards the cost of the project, along with substantial support from Great Western Railway’s Customer and Communities Improvement Fund and grants from Gloucestershire County Council and other local authorities. Pictured at the top of the page are, from left, CLPG promotions officer Julian Palfrey, Cllr Nigel Moor, CLPG chairman John Ellis, GWR's regional development manager Tom Pierpoint, CLPG treasurer Brian Clayton, membership secretary Laurie Clayton and GWR's North Cotswolds duty stations manager Tim King. Click here for images showing how the completed building will look.